on any of their products, you would sooner call a technician who has been certified in one of the appropriate programs than you would just call the first so-called “expert” in the phone book. CompTIA’s A+ exam objectives are periodically updated to keep the certification applicable to the most recent hardware and software. This is necessary because a technician must be able to work on the latest equipment. The most recent revisions to the objectives and to the whole program were introduced in 2009 and are reflected in this book. 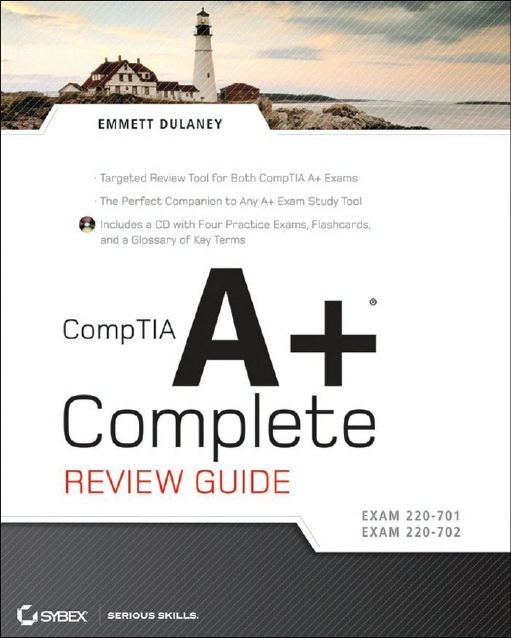 This book and the Sybex CompTIA A+ Complete Study Guide (both the Standard and Deluxe Editions) are tools to help you prepare for this certification—and for the new areas of focus of a modern computer technician’s job.